As this year's contest comes to a close, the SCRIBO competition as a whole will come to an end and will not be among Ascanius' programs moving forward starting next year. Thank you so much for your interest and support! We are happy to have spurred interest in Latin creative writing and to have recognized extraordinary work during the contest's eight years of existence. While SCRIBO will no longer be available, we are happy to announce an exciting new initiative in which you and your students may be interested. We will offer Classical Promise Grants to students and teachers wishing to bring Latin and Classics to elementary school and middle school students in their own communities. Please visit ascaniusyci.org/classicalpromise for more details and application instructions! Dec. 18, 2017 Registration opens online. Feb. 12, 2018 Deadline to register your students and submit their entries online. Pay the registration fee (online or by mail). April 21, 2018 Awards, results, and CD's should be in the mail to you and your students. 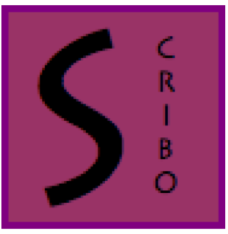 How do I integrate SCRIBO into my classroom? SCRIBO is designed to be as flexible as possible so that it will easily integrate into your class. You could offer a contest, assignment, or project from which you choose and submit the best entries. This could be open-ended, connected to a cultural unit, or connected to your text's storyline. Click here to see other teachers' methods for implementing SCRIBO, or to share your own! If you have any questions or concerns, please email scribo@ascaniusyci.org. Your participation in SCRIBO supports all programs of Ascanius and allows young students like these to experience the joys of learning Latin!